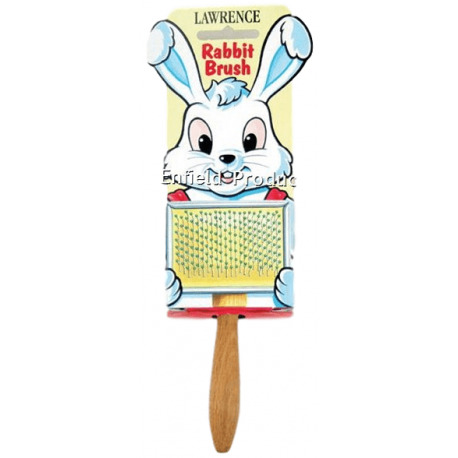 Rabbit Slicker Grooming Brush by Lawrence is designed and made in England for extra gentle grooming and have bobbles on the pins for comfort and safety. 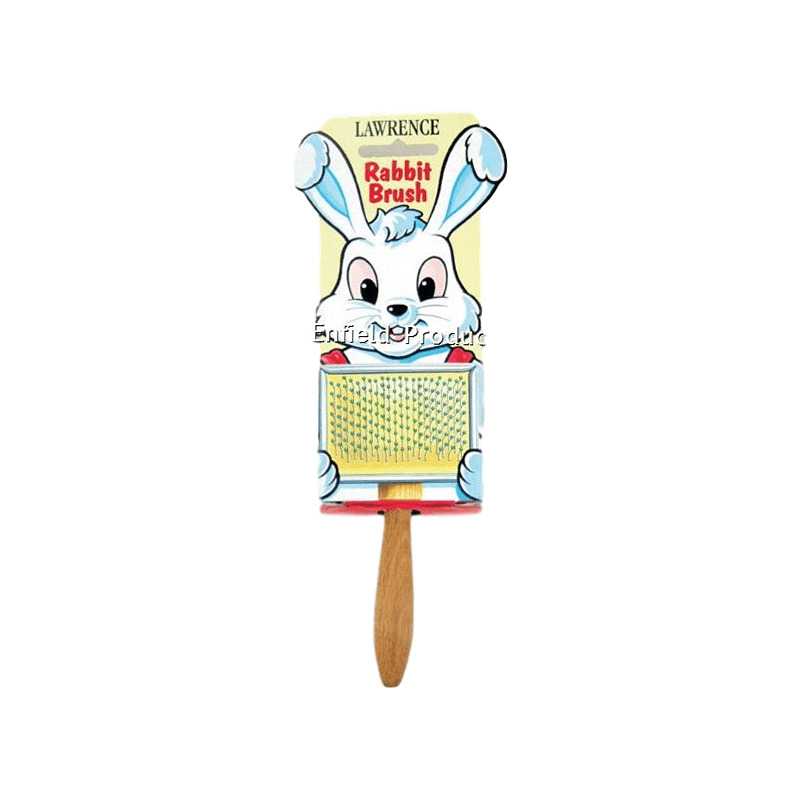 Rabbit Slicker Grooming Brush by Lawrence. These brushes are designed and made in England for extra gentle grooming and have bobbles on the pins for comfort and safety. Lawrence show the usual attention to detail with rounded corners on the brushes and a genuine wooden handle - all beautifully packaged in 'character boxes' featuring Gerry Guinea Pig & Bunny Rabbit. Includes bobbles on the wire pins for extra safe grooming. 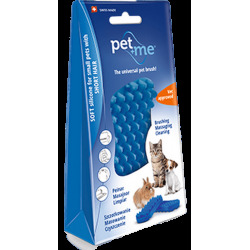 Ideal for first time and experienced pet owners. The boxes carry a care message from Gerry & Bunny to children to be kind to their pet. 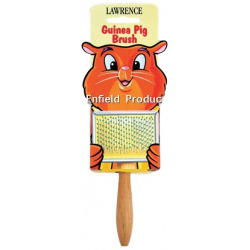 The Guinea Pig Slicker Grooming Brush by Lawrence is designed and made in England for extra gentle grooming and have bobbles on the pins for comfort and safety. For rabbits, cats & dogs. 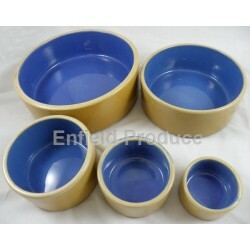 Available in blue, green, yellow and red. Each colour is designed for a different animal hair type. Soft and gentle even to the most sensitive skin, and are most effective in removing loose hair, sebum and dandruff. Made of 100% pure silicone, safe for both human and animal. Washing machine cleanable. JM Rabbit & Guinea Pig Food Mix includes lucerne, various grains and the popular vella rabbit pellets. 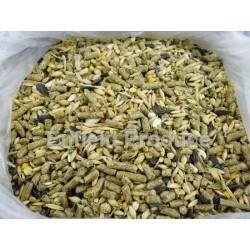 Vella pellets are known for being more fresh & green then other pellets. 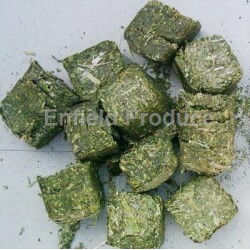 Lucerne cubes are are great way of providing fresh lucerne to your pet rabbit or guinea pig and are compressed so that they will also provide a hard chew treat that your pet will enjoy. 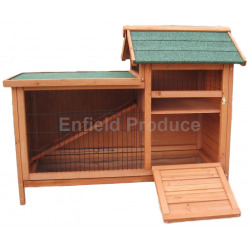 A unique double storey design that allows your pets to run and hide more spaciously. Glossy pullout tray. Multiple enclosed areas. Gold coloured locks.